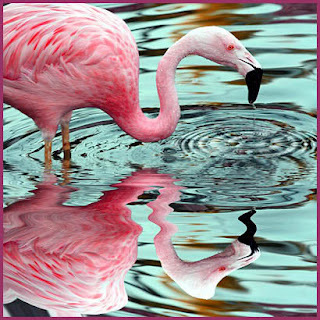 Sophsterlicious • UK Blog: Barry M Nail Paint - Pink Flamingo! 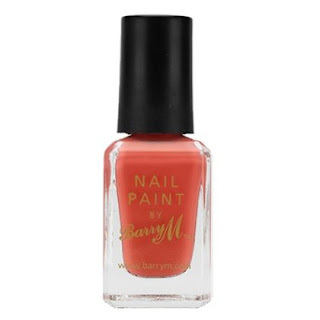 Available From - Barry M Online and In store soon. I love all of the Barry M nail paints so when I was able to try this gorgeous new shade from them I couldn't refuse! As with all Barry M Nail paints it glides on really nicely and has a lovely creamy matte look to it. 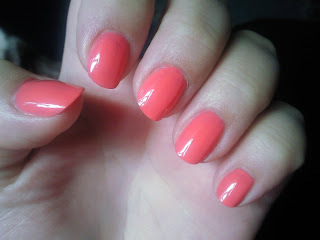 It is a gorgeous bright coral/pink/flamingo colour, It looks so much nicer on the nails than it does in the bottle too, it is almost neon but not quite and to me it's the perfect shade for summer. It's quite difficult to describe just how gorgeous it is, but here are a couple of photographs so you can have a look. It dried really quickly and I applied two coats. I was quite surprised as one coat was fairly opaque, but the second one just made it perfect! So, Bazza M have done it again, another amazing unique shade to add to their many others! 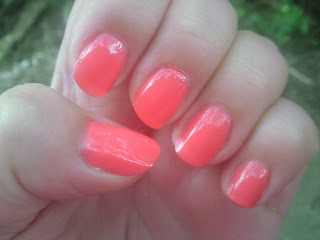 - I absolutely love this nail polish! .. What are your Barry M faves? I have been wearing this polish for the past 3/4 days, and I forgot to put a top coat on (Naughty me) But it has lasted, really well. I've only just started to notice chipping. I am so impressed! The colour is atill lovely and vibrant too.